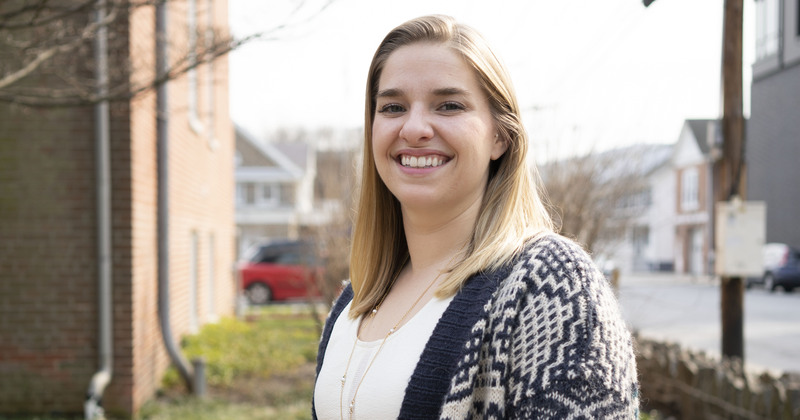 After five years at the University of Delaware, Lizzy Adams took the plunge into the business world and found herself transitioning to working as a Marketing Manager in the heart of New York City. Though she loved working in higher education, Lizzy maintained a large interest in business throughout her career progression. She sought out Dan Freeman, Founding Director of Horn Entrepreneurship, and eventually decided to pursue her Master’s Degree in Entrepreneurship and Design while working full-time. “I knew that Horn Entrepreneurship was such a great program because it had the rigor to challenge me, to help me learn more while remaining flexible enough to allow me to work and go to class,” said Lizzy. Upon completing her graduate degree, Lizzy boldly reached out to several recruiters and lined up several interviews in New York. Among these was a startup, Cubeyou, an artificial intelligence platform specializing in conducting market research for brands, media companies and more. Lizzy’s unique skill set separated her from the pool of 10 other candidates and the graduate was selected to fill the role of the Marketing Manager. In her new role, some of Lizzy's largest projects include creating stories from data, developing new business pitch alerts and reinvigorating social media. She hopes to continue to improve and believes she has the chance to be a large fish in the company. “We are actively expanding and it would be an honor to say I was there when we began to grow,” said Lizzy. As the world continues to evolve, the value of an entrepreneurial skill set only rises. The Success Stories series showcases the alumni from Horn Entrepreneurship creating opportunity and impact as they blaze their own trails following their time with the University of Delaware.